The Sports Techie community blog coverage of LED lights becoming a venue standard continues with the encouraging news that Ephesus Lighting will illuminate Super Bowl XLIX on February 1 with this game changing technology as a first ever for the Big Game. 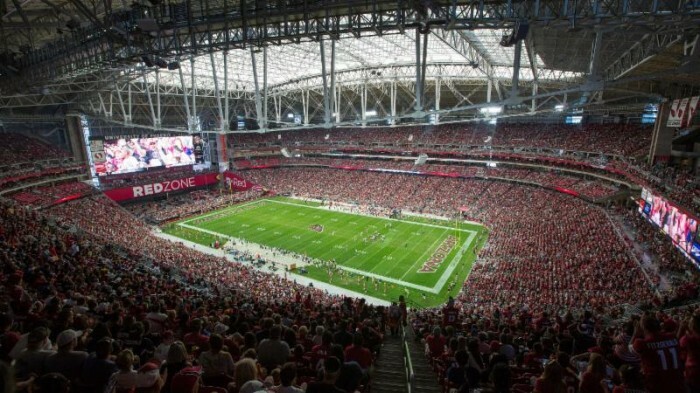 Better sport facilities sustainability, improved player performance and broadcast quality are positive off-shoots of installing LED lighting as was done by the University of Phoenix Stadium to become the first NFL stadium to light the building and playing surface with this environmentally conscious tech. Remember this fact, Seattle Seahawks and New England Patriots fans when you attend in person, watch NBC Sports on your TV or take advantage of NBC’s TV Everywhere program allowing football fans the option to “Super Stream Sunday” content by watching at NBC Sports Live on desktops or through the Live Extra app, via tablets and mobile devices. 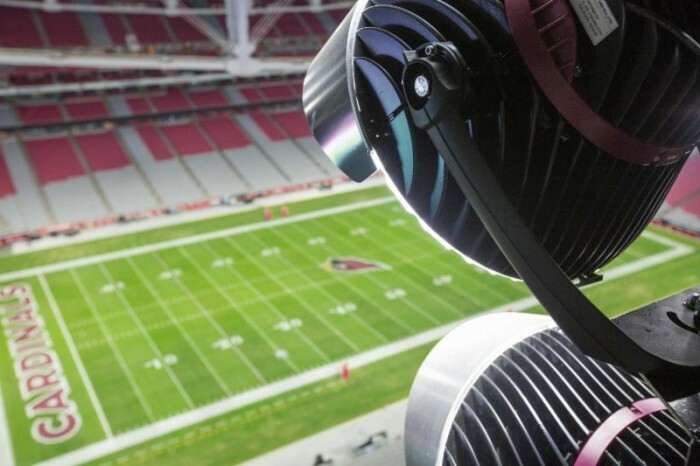 LED lighting will enhance the fan and player SB 49 experience thanks to Ephesus. THE PATRIOTS-SEAHAWKS CHAMPIONSHIP GAME TO BE THE FIRST ONE EVER PLAYED UNDER LED LIGHTS. The Seahawks and Pats are both past Super Bowl winners and the Hawks have already played inside the Glendale stadium this season but this will be the first Super Bowl in the history of the league that is played under high performance LED lights. 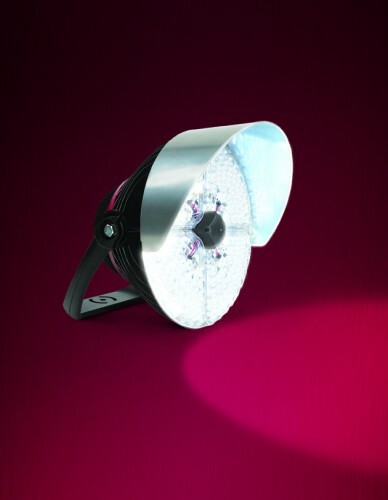 The diodes emit light designed to mimic daylight that has delighted fans, players and coaches, broadcasters and facility operators, because of the increase in brightness and more uniform illumination resulting in less shadows around the field while also emitting less glare. As a result, colors are generated with greater accuracy. Ephesus fixtures use Cree® LEDs, that are proven to deliver improved lighting compared to traditional metal halide lights previously installed at University of Phoenix Stadium and inside other venues worldwide. The 312 Ephesus fixtures used to replace the 780 metal halide fixtures at UOP Stadium, consumes only 310,000 watts of energy as compared to the 1.24 million watts needed to power the previous system for a remarkable 75% reduction in overall sports lighting energy usage. A major LED operational benefit is their ability to be turned on and off with a simple flick of a switch. Older metal halide fixtures require a lengthy and costly 20-minute warm-up period. The fan experience has been enhanced by this on/off feature because building operators can now implement dazzling light shows for added entertainment, and, if a power outage were to cause a blackout, like it did at the Superdome for the NFL in 2013, these LED lights can be restarted immediately. Fans in-stadium watching on big screens, smartphones and tablets, in addition to the millions of high-definition TV watching home viewers already have or will soon notice the light upgrade. The Ephesus installation compliments HDTV broadcasting video feeds. Play-by-play broadcasters and analysts report positive feedback about the lighting change. Production crews find it no longer necessary to open and widen a camera’s aperture to allow in extra light, causing a flawless picture, while displaying increased field depth; much closer zoom in and strikingly detailed slow motion replays. This significant sports technology benefit is based on how the LED lights operate with virtually zero flickering resulting in optimal super-slomo instant replay conditions. I suspect because of LED lighting, even the 1 pound of psi missing from the 11 deflated footballs under question in the Patriots Divisional playoffs game last week against the Indianapolis Colts could be seen in detail by viewer’s on HD displays after a camera zooms in on the cushy ball in the hands of a quarterback or receiver. Ephesus Lighting, Inc., is leading the lighting sustainability movement in the NFL, however, Safeco Field announced yesterday they are the first MLB ballpark to install LED lights. Other pioneering users are NRG Stadium in Houston and the Staples Center in Los Angeles. UOP Stadium has a retractable roof and field, making it unlike any other stadium in North America. This is truly an unmatched blend of superior design, engineering, and technology. The multi-purpose facility opened on August 1, 2006, and then hosted Super Bowl XLII in 2008, followed by two BCS National Championship Games (2007 & 2011), the annual Fiesta Bowl, and many international soccer matches. The 63,400-seat stadium expands to a seat capacity of 72,200 fans. It is owned by the Arizona Sports and Tourism Authority (AZSTA) and operated by Global Spectrum. Ephesus Lighting lit the first North American sports venue with LED technology in 2012. Since then, Ephesus LED fixtures have produced more than 300,000 hours of light in more than 100 indoor and outdoor sports venues across North America. Ephesus Lighting, Inc. is a US-based company that manufactures high-output LED lighting solutions for challenging applications in the industrial and sporting markets. Ephesus is focused on innovating advanced LED solutions that will enrich and illuminate the world, by creating brighter, more vibrant and more sustainable environments. Ephesus Lighting is Powered by Cree® LEDs. Cree® is a registered trademark of Cree, Inc.
2015 Super Bowl to be First-Ever Played Under LED Lights. Sports Techie, The planetary march towards upgrading venues with increased sustainability is on across all stadiums, arenas and ballparks, both nationwide and globally. For example, the product life span of LED luminaries approach 50 years which trumps the 3 year average of a halide light. One way to make this so is by installing LED lighting that saves energy consumption and costs while producing a crisper and more vibrant light source that benefits the world, athletes, fans, and broadcasters such as NBCSN that pays upwards of $3 billion a year to show the NFL regular season, playoffs and Super Bowl games. The improved quality of photos and videos shot by fans in attendance at SB 49 is something we can all enjoy by following social media platforms, relevant brand content, and in my case, Seattle area friends posting on Facebook, Instagram and Twitter. Finally, don’t you agree that LED is a must have for the benefit of officials and refs., they need all the help they can get to make the right calls in real-time. Remember, it is Ephesus that is providing the LED lighting for the Big Game and beyond.